Thomas Hobbes called is “the Mother of Philosophy”, and Samuel Johnson expanded this idea, saying “All intellectual improvement arises from leisure”. Basically, leisure provides us with an opportunity to grow and develop in numerous ways we are interested in. Some people enjoy going in for sports, others – travel, some other people prefer reading or spending time with their family, friends or even new people. Whatever activity one chooses for leisure time (or even if one decides to stay home and do nothing – doing nothing is also recreational sometimes), it is important that leisure brings joy and helps to achieve harmony with the inner “I”. It brings the feeling of achievement, self-actualization, development that brings moral satisfaction and thus helps us to love ourselves. Another important quality one could get out of leisure is the ability to concentrate on things other than work or everyday duties. It develops imagination, creativity, strength, will-power and provides extra energy. It is well known that a change of activities is very useful – if one has intense work schedule, it is advisable to have lazy leisure time and if one has sedentary life-style – active recreation is suggested. Of course, one should not prioritize leisure to work. Aristotle once said: “We give up leisure in order that we may have leisure, just as we go to war in order that we may have peace”. Only the balance of these two components provides good results and satisfaction from both. ‘Leisure…means some subjectively gratifying activity’ (Andorka, 1987, p. 151); people who have ‘too much free time’ may not find it subjectively gratifying (Gershuny 2000, pp. 202–211). Nowadays, more and more people suffer from workaholism or have health and psychological problems due to overwork. The highly competitive work environment presses for hard work and continuous stress. In this case, it is batter certainly to prioritize leisure to avoid “becoming a dull Jack”. I think that although the preferences of how to spend leisure time are very personal and depend on the type of personality of any single individual, public programs that use leisure as social good would be useful. Especially, if the organisers would be able to motivate people to participate for their own good, for the food of the whole community or even just for fun. In practice, people may find inspiration and motivation to work for the social good just of charity or respect, or any other non-monetary easily-achievable reward. Personally would appreciate being a part of a team that would improve any sphere of social life. As I enjoy painting, I would be glad to participate in some social improvement of the playground or the neighbourhood. I would also care for any creative and socially valuable leisure activity, any sport or travel that would be useful not only for me but for those people around me. I think it is very important to realise the role of nature and environment in recreation. Most people recreate fully only when they have full contact with nature, that is why I believe that the recreation field will continue to attract humans in terms of natural recreation. I think that “health tours” and “wild nature tours” will be of great importance and value in future, especially with the emergence of numerous threats to the environmental system. Nature provides humans with strong and clear energy that has great energetic potential. That is why most people like the sun, the sea and the forest so much – it is an infinite energy source. Of course, pools and spas are a good alternative to nature, and they are also very recreational, only real wild nature experience enables us to forget about our daily errands and burdens and to fully renew and gather strengths. Leisure is a matter of personal choice and everyone has their own way of achieving moral satisfaction from one’s leisure time. It is important to value this time and never to fail to use it to the full. Only in this case leisure would be truly recreational and rewarding and work would seem more pleasant as well. Andorka, R.: 1987, 'Time budgets and their uses', Annual Review of Sociology 13, pp. 149–164. Gershuny, J.: 2000, Changing Times: Work and Leisure in Postindustrial Society (Oxford University Press, Oxford). 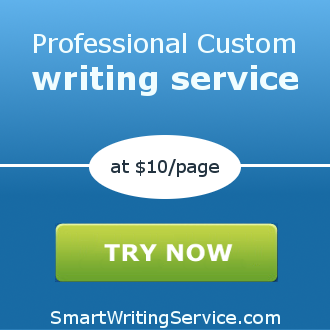 Read more about top-notch customized essays from experts!